Stumbled upon this write-up- SSTV from the Raspberry Pi camera, with direct RF synthesis, i.e. no outboard radio required, complete with motion detection and callsign overlay. Neat! Nothing stopping this being adapted for HF SSB, in fact it would probably work better. Looking forward to building a version for the car and seeing how it is for road noise etc. According to this, increase resistor size to increase mic output level (sounds counter-intuitive, but hey). Update: that 2.2k resistor should be a 47k. That seems to produce clean audio and keeps the current through the mic element down. I’ve ordered a MAX9812 module to see whether a pre-amp brings the punchiness of the audio up a bit, since it’s a bit quiet as-is. Considering the TH-9800 (4m version) from Sinotel. Looks perfect for Raynet stuff. Can the cross-band repeat function be locked down to only transmit on receipt of a specific CTCSS tone? Can the TX power be set independently on the two sides of the radio? 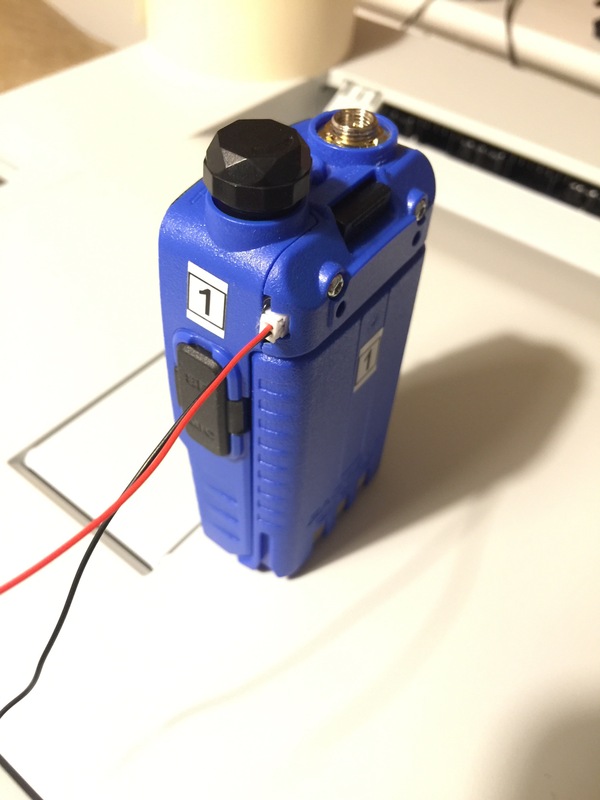 For a project, I need to get a reliable Carrier Detect (or “my squelch is open, I am receiving”) signal out of a cheap and nasty Baofeng UV-5RA. I’ve succeeded, and have done so by pulling together a few people’s work from around the web. I thought I’d pull it all together here. This guy has done basically the same thing, using a Baofeng BF-888. Basically you take advantage of the fact the Baofeng powers on its audio amplifier only when the squelch is open. The radio applies 7.6V to pin 2 of the TDA2282 amplifier chip just under the LCD when the squelch is open. (Pin 4 is ground.) Take a feed from pin 2, to a 5k resistor, to the base (centre pin) of a BC547 NPN transistor. Ground the emitter (right pin, looking at the flat side). When the squelch opens, there is continuity between the collector (left pin) and the emitter – that’s your output. Here’s the chip. Pin two is bottom row, second from the left. Pin 4 is bottom right. I ran very thin insulated wires around the edge of the board and up above the battery clip, behind the plastic cover. and I’ve shoved my transistor and resistor up behind the outer plastic cover above the battery on the right, dead bug style, hot glued on top of some insulating tape. Quite a bodge, but with some Dremel trimming of the case, it’s all held together fine by the top cover screws. Multimeter reads continuity between the two output wires (red wire=collector, black wire=emitter) whenever the squelch is open, and open circuit when no signal is being received. Current should flow from the red wire to the black wire in any downstream interface. Partly working… documenting my work so far towards a truly inexpensive, standalone, reliable APRS tracker. I’ve moved away from the Pi and back over to microcontrollers. 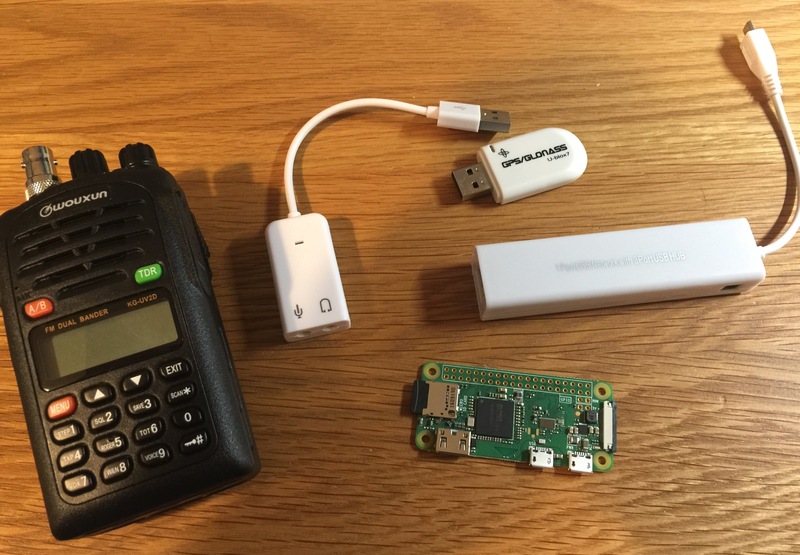 This is based on practical experience using the Pi at an event. Too much complexity / unknowns. The Pi worked okay, but could have been better. There’s actually a bit on KI4MCW’s page about how deaf the ADC design below is, might be worth looking at his improvements which don’t seem to have made it into the Mobilinkd hacking page. Ignore the stuff about Bluetooth, fire it up, set delay to 80 (800ms – these radios are properly rubbish), expect no confirmation (there is no save button – the author says (and I have checked) that changes are saved into EEPROM as you click in the UI). Check transmit using 1200Hz tone + Execute button. APRSISCE/32 wants a Simply(KISS) port set up, 38400 baud, 8-N-1, and sometimes wants you to disable and re-enable the port before it works. Sometimes have to reset the Arduino too. Turn the radio volume up quite high. 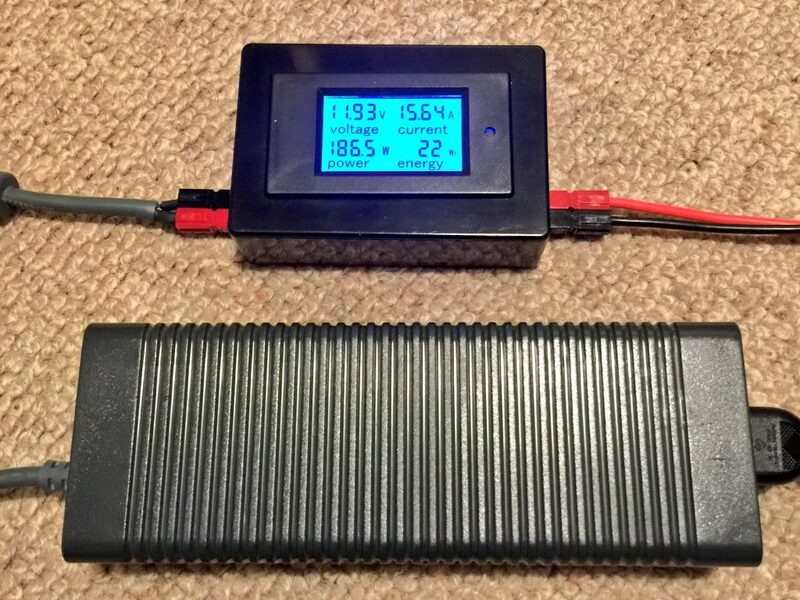 I plan to use a second Arduino, running a GPS, to push APRS frames in to this unit over serial. Even better, mod this firmware to talk to a GPS over serial, then format and send its own APRS frames. 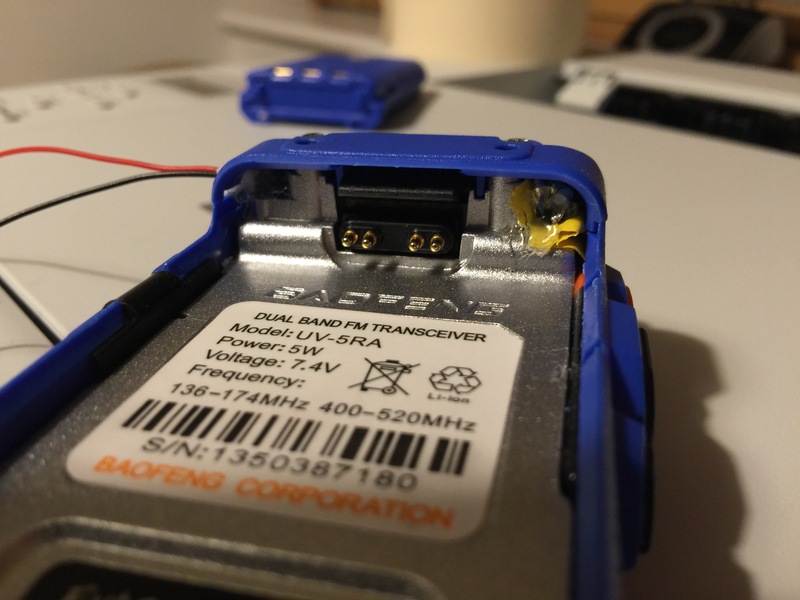 Relay contacts across Baofeng PTT (bare wire / 3.5mm sleeve) and Baofeng ground (blue / 2.5mm sleeve)) – need to update the text below. Baofeng pin assignments are here. This is a quick post describing my recent efforts to establish a very minimal receive-only IGate at IO91lk. I’m hoping that this post will make it very easy for anyone to replicate the entire setup – so I’ll include hardware purchase and software download links later on. tl;dr Raspberry Pi 2, RTL TV stick, 5/8 whip on a SO239, Direwolf. First off, here’s a terrible photo. You’re looking at MB7UUU – maybe the only RTL dongle with a callsign? Devise a way to connect your RTL dongle to your antenna – I had a pigtail floating around, so I did it properly, but you could probably do fine just bodging the antenna element on to the coax from the antenna the dongle came with. I make that approx. £20 all-in, £25 if you need a USB power supply as well. You have two options here, easy mode or hard mode. That’s it. There’s a utility I wrote on the SD card which runs at every boot, takes whatever is configured in /boot/aprsconfig.json and sets everything up. Should be pretty flexible. If you need to reconfigure the IGate, just pull the SD card, edit that file, then boot it again. Likewise if your SD card fails, just burn it again from the link above and drop your aprsconfig.json file on to the card. The login credentials for the image are: hostname rtlpi, user root, password raspberry. Here in Tilehurst / Calcot with a 5/8 whip at ~70m ASL / ~5m AGL in an attic, I routinely receive several packets per minute, mainly from the local digipeaters. The Pi image is theoretically set up with an Icecast server so you can listen to what Direwolf hears on 144.800 through a web browser, to get an indication that things are working, however I think I broke this somehow just before I took the image, while minimising filesystem writes to maximise SD card lifetime. I might do an updated image shortly. If you’re using Wi-Fi, and your dongle doesn’t register as wlan0, you might have to do some fiddling. I’ve bundled some software into the SD card image which automates the configuration stuff – source code to go up on Github soon. In the UK, a pedantic reading of the licence terms suggests, in my opinion, that an APRS IGate falls under Unattended and/or Remote Operation (section 2 part 10(3)), and the licence (section 1) also pedantically defines Radio Equipment as transmitting and receiving equipment. So while the regulator is highly likely to not give a damn, filing for an NoV (Notice of Variation) was straightforward and came back extremely quickly – about 40 hours from initial application with RSGB ETCC to having the NoV returned from Ofcom. Superb service, and my thanks to Steve G8SFR at ETCC in particular – so now by any possible reading I’m covered. Steve advised that closedown operators are not required to be named for a receive-only application, and a max transmit power of -60dBW (1 μW) was specified on the application – way above the -80dBm (10pW) local oscillator leakage measured at the RF input connector by G8JNJ – technically required since the LO will leak out of the antenna, even if to an indetectably small degree. If you choose not to go down the NoV route, and clearly this won’t be possible for all, I’m not about to judge, but it’s not on me. Gathering the bits required for the second iteration of my Pi-based APRS tracker design. Also got my rx-only IGate off the air while I clear up some licence ambiguity.